Volunteering While Recovering From Addiction - Is It Right For You? Volunteering While Recovering From Addiction – Is It Right For You? Volunteering is a great way to spend your time, whether you’re in recovery or not! There are so many organizations that depend on volunteers and can benefit greatly from your time and efforts, and in turn, you will be helping yourself as well. According to the National Corporation for National and Community Service, 62.6 million Americans spent time volunteering last year, giving 7.8 billion hours of their time to groups needing their help. The estimated value of this work was $184 billion! There are so many ways people can volunteer. In some cases, volunteering is skill based – that is, people with training in education, medicine, or some other area give their services to an organization for free. However, in many situations, no special training is needed to give yourself to a group than needs you. There are many options to volunteer in developing countries doing things like teaching, conservation, assisting in orphanages, or building homes or other buildings – all with the guidance of a trained leader. Virtual volunteering allows participants to do work online or independently at home, remotely and offsite from the organization being assisted. After a natural disaster, emergency volunteering brings interested individuals to the area affected to help displaced people and families and assist in getting things back to normal. Community volunteering may involve helping out in local schools or at churches, in soup kitchens helping the homeless, or with local environmental cleanup or working in animal shelters. The possibilities for volunteer opportunities are truly endless! For people in recovery, volunteering can be a great move. Perhaps you feel that others have helped you on your path to returning to a normal, healthy life, and now you feel that its time for you to give back to the world around you. Boredom and isolation can become common triggers for relapse, and by getting involved; you can easily avoid both of those feelings. Keeping yourself busy and developing new hobbies is important for anyone recovering from addiction, and there are few things that can comprehensively accomplish these goals as well as volunteering. Furthermore, it can help you to challenge yourself and point your mind and energies towards things that are much more productive and healthy than substance use and abuse. And, perhaps you’re not quite ready to go back to work yet after leaving a rehabilitation facility, but you are ready to get out there and start helping others – this will give you a new focus, something to look forward to, and the opportunity to meet other people with the same goals. Volunteering can help you build skills that will help you find a job when the time comes, and will also help you network with others. By participating on volunteer work, you will get practice in not only specific skills related to the volunteer work in particular, but you will also further develop your ability to be accountable, be on time, complete tasks, and hold down a job. If you find you are quite passionate about the organization for which you are volunteering, perhaps you will want to pursue a paid position with that organization in the near or distant future. By volunteering, you will be making a difference in the lives of others. Throughout your life, people have helped you – as a child, as an adult, and as someone in recovery. Now it can be your turn to give back and help others, and you may never truly know the extent of the ways your efforts can change someone else’s life for the better. Soup Kitchens. As many as one in six Americans today live in hunger or on the edge of hunger every day, many of them children, and soup kitchens, often run by churches or other similar organizations, help to feed these people and fill this vital need. Nearly every community, big or small, has a soup kitchen somewhere, and they are almost entirely staffed by volunteers. You can assist by shopping, preparing food, serving food, doing paperwork, soliciting donations from the greater community, cleaning, or simply just sitting with people while they eat and keeping them company. This is a volunteer opportunity that unfortunately never ends; they will always need a hand in getting food to hungry people. Homeless Shelters. According to a combined report from The Department of Housing and Urban Development, the Department of Health and Human Services, and the Department of Veterans Affairs, over half a million people in the United States are homeless at any give time – and many are families with children. As a result, homeless shelters are necessary and they need volunteers to operate. When volunteering at a homeless shelter, you may be needed for childcare, meal preparation, cleaning, helping people find jobs, preparing care packages for homeless clients to take with them, helping with intake, or a number of other tasks as needed. Building Homes. If you are handy with tools, perhaps helping to build homes would be a great opportunity for you. The most well-known organization that builds homes is certainly Habitat for Humanity, but there are many others as well. Even if you do not have any experience with construction, there are many other on-site or off-site things you can do to help out, such as painting, fundraising, or paperwork in the office. Animal Shelters. Animal shelters have an endless stream of homeless animals coming through their doors, and they could certainly use your help with cleaning the facility, feeding the animals, socializing with cats and dogs to help get them more used to human interaction, and talking with people who come looking to adopt. Regional, State, or National Parks. Most of us take the opportunity to enjoy the parks and open spaces near our homes, but keeping them ready for community enjoyment is a lot more work than it appears. In our parks, there are numerous volunteer opportunities including trail building and repair, staffing of nature centers and other on site facilities, environmental cleanup, and so on. Libraries. Libraries are government funded but there is always need for help within their walls, and librarians would love for you to come and lend a hand. There are many community programs offered by libraries that could benefit from assistance in running them, and tasks like shelving books and repairing materials are always needed as well. Schools. If you have a clean criminal record, schools would love to have your help. Although this sort of volunteer opportunity may require a background check and fingerprinting, therefore requiring a little more lead time on starting there, once you get started, the teachers will quickly find literally thousands of things for you to do. You may tutor students, assist with the creation of materials, work with small groups, or supervise lunch or recess. You’ll meet great people and help change the lives of dozens or hundreds of children every day. There are also many volunteer opportunities in the area of recovery. You may be drawn to this since you have just experienced it yourself, and you want to help others who are suffering from the same struggles you felt. If you are feeling strong in your recovery, this may be an excellent path for you. You can help out by setting up before and cleaning up after support group meetings, assist in a variety ways at a residential treatment center, or just be a listening ear for individuals who are participating in a rehabilitation program. However, this can in many cases also be a difficult area in which to volunteer for people who are recently clean and sober. It may be best to avoid all exposure to people using and abusing drugs early in your recovery, and perhaps you could consider this sort of volunteering again further down your healthy path. Use your best judgment, and talk to your counselors and support groups to determine if volunteering in the field of addiction recovery is right for you at this stage in your personal recovery. 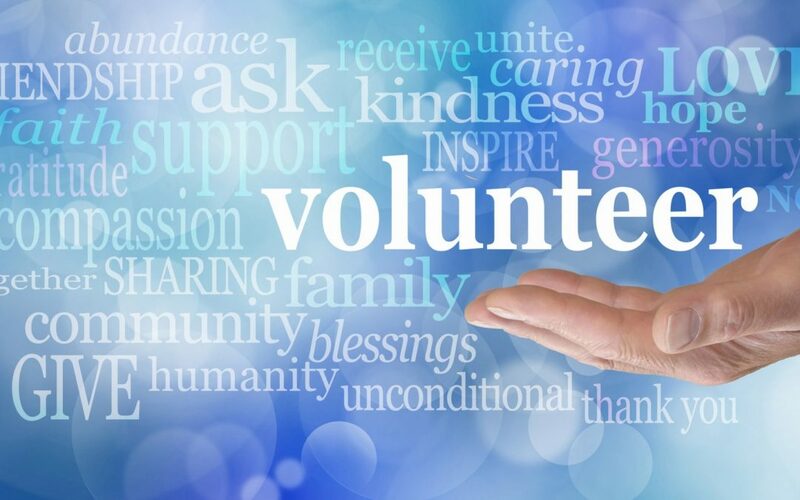 At Clear Sky Recovery, we would love to see you step into these volunteer roles in the near future and help others in any way that you are able – but you have to work on yourself first and foremost, before you can effectively help anyone else. Please give us a call if you are struggling with drugs or alcohol to discuss the ways we can help you on your path to recovery. Ibogaine and ibogaine treatment can certainly help to get you clean and sober and point you in a healthy direction that can, in turn, help you help others improve their lives as well. Our intake specialists are standing by to talk to you about the ways that ibogaine can help with your unique situation, and we look forward to hearing from you!